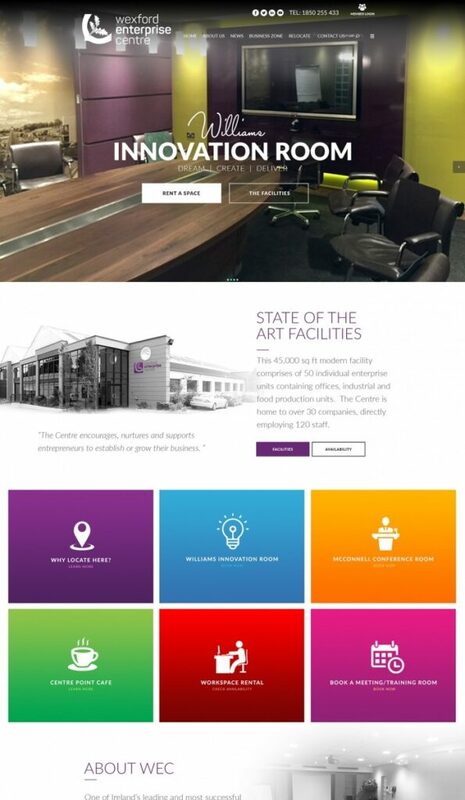 We are delighted to announce that we will be providing the new website for Wexford Enterprise Centre. Let us know what you think of the new web design. We think it sums up the vibrancy of the Enterprise Centre. We feel this will be a bench mark for enterprise and business parks in Ireland. The Wexford Enterprise Centre is located in Kerlogue and 2Cubed can’t wait to launch the new website. Over the next few weeks we will post the progress and show you more of the web design, the homepage, landing pages and content templates.